Just about every automaker in the world is enlisting experts from a variety of fields outside engineering and design to help them develop autonomous vehicles. 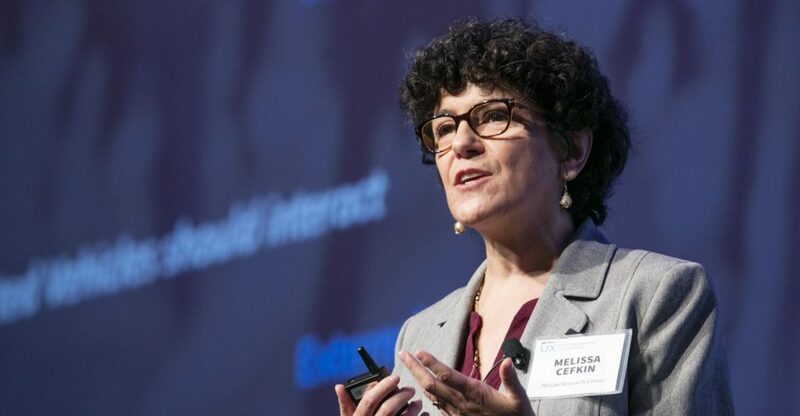 One of the best known is Nissan’s Melissa Cefkin. Her official title is principal researcher-Human Centered Systems, Nissan Research Center. She is a cultural anthropologist who is helping Nissan designers understand how pedestrians and drivers of conventional cars will interact with AVs. One of the principles of anthropology that we bring into our work in product and service development and corporate anthropology is to look out for this “say-do” distinction. What we look for is how people act on trust or lack of trust. Often, any given person is a bundle of different ways of acting, depending on the situation and terms. We find this today in studies of road use. Pedestrians often claim they “always make eye contact.” Empirical observations suggest this is not true. What they likely mean is they seek some confirmation that a car has seen them and is taking appropriate actions vis-à-vis their presence. For instance, a car starts to slow down. They are assuming the reason for the slowdown is the car has seen them – they do not in fact always make eye contact to confirm. If they did, nobody would ever be out at night. We try to understand the cues and signals that mean something to people that do/do not engender trust. We feel these more nuanced and often evolving considerations are more essential in gauging trust than surveying people.